I can see advertisements of other sites on the sites I frequent. How can we create such an advertisement for our site? In which sites are we permitted to advertise? What are the steps to do the same? 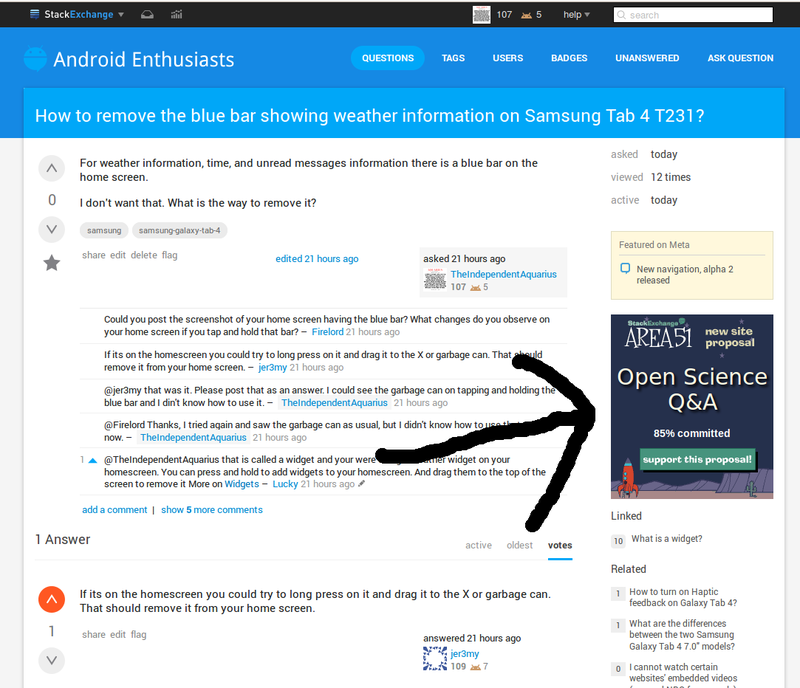 Community Ads are only available on graduated sites (i.e. no "beta" status), so if you are a user on a graduated site, like Android.SE, you can create a similar ad and post it in the relevant meta post (and wait for it to be upvoted). These ads are usually intended to benefit the community somehow, so I guess you could try DIY.SE or maybe GraphicDesign.SE or any other site you think would like to see/promote the Arts & Crafts proposal. The design itself is available via the "Share This" link/button on the proposal page. Not the answer you're looking for? Browse other questions tagged arts discussion target-audience .